I'm a huge gift lover-- whether giving or receiving, I absolutely LOVE picking out cards and gifts. Are you familiar with the 5 Love Languages? If so, you'll realize mine is "gifts" ;) My mom always loved me really well in this area. When I was younger and would go to camp, she would pack my bag full of notes, cards and little gifts I got to open throughout my week away (I hated camp! ha!) My first year of college, she had all my friends and family write me a card and wrap a small gift for me to open each day for the first few MONTHS of school. It was such a blessing! 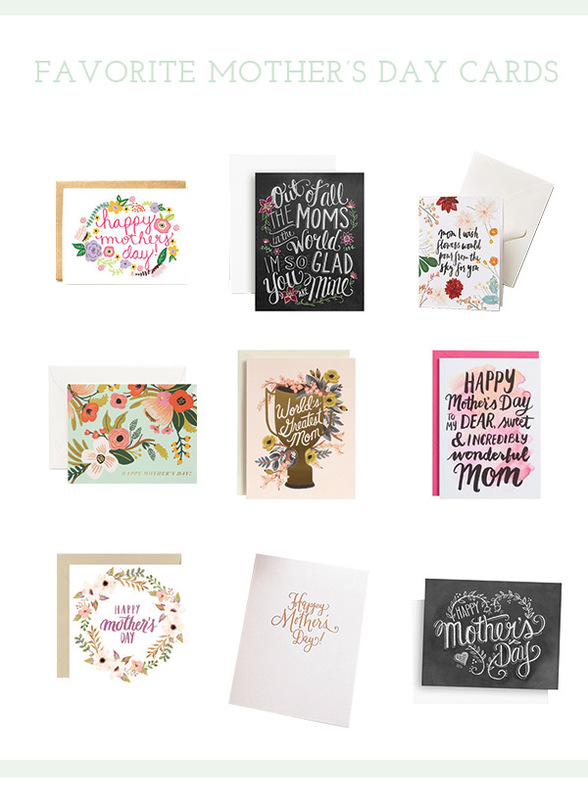 Because of this, I always have the best time picking out Mother's Day cards (and the actual present, too!) I rounded up a few of the prettiest cards I could find. Chalkboard backgrounds, lots of florals, rose gold calligraphy-- there's something for everyone. Most of these cards I think are beautiful enough to frame! Don't forget to check my Mother's Day Gift Ideas right here.